We recently reported about two new BlackBerry smartphones and CEO Jon Chen has revealed a couple of new BlackBerry devices at a conference. 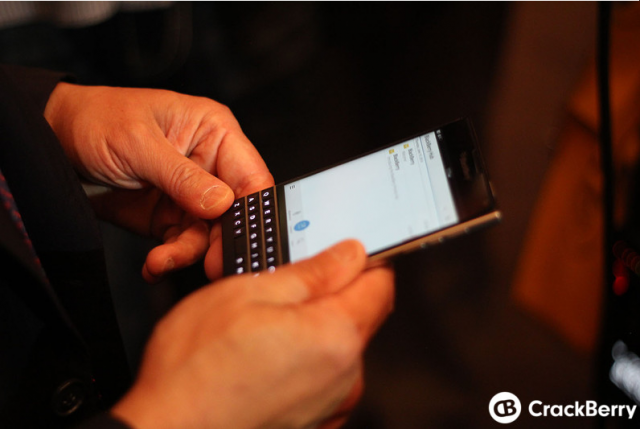 The new devices are the BlackBerry Passport and BlackBerry Classic. 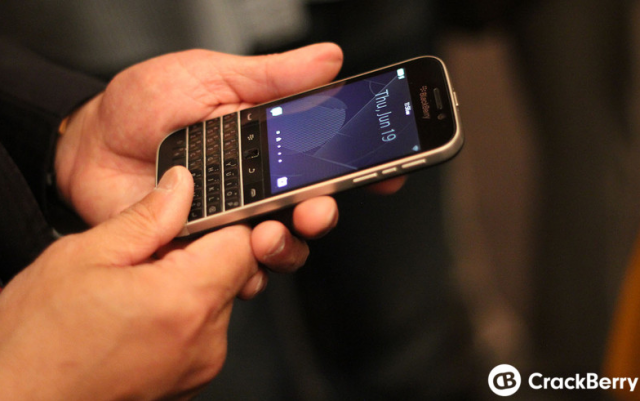 Both the devices pack in a QWERTY keypad like the good ol’ BlackBerry devices. The BlackBerry Passport is set to be the high end of the two and it surely looks interesting and I’d even go out and say, great! The specs haven’t been revealed but we can expect a 4.5-inch (1440x1440p) display, the powerful Snapdragon 800 chipset coupled with 3 gigs of RAM, a 13 MP rear camera and 3450 mAh battery. The QWERTY down below does not feature number keys. Those specifications do sound great and the design surely compliments it. We surely can’t wait to know more on the device. Then there’s the BlackBerry Classic, which we’ve known all along as the Q20. It should be a more affordable BlackBerry device and with the same Bold esque QWERTY keypad along with the touchpad and function keys from older BlackBerry devices, it should appeal to the BlackBerry fans. The BlackBerry Passport should appeal to people who want a QWERTY keypad but also want a bigger display and some powerful hardware. We are glad that the struggling Canadian company is not down and out. The company might also be planning to bring a phablet to the market. We are surely awaiting the new BlackBerry devices. What about you?